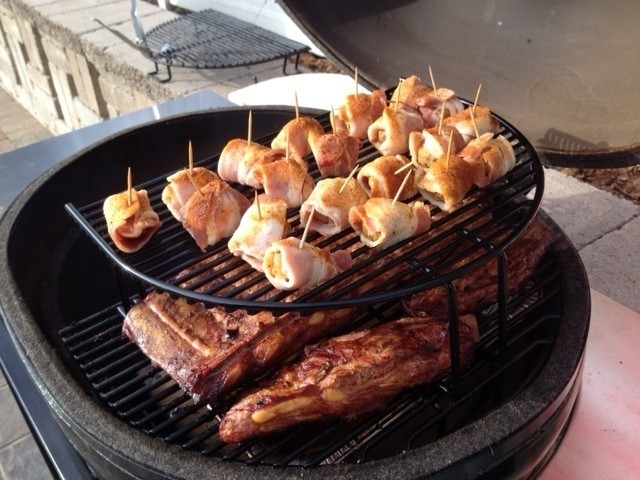 Since becoming a distributor of Primo Smoker/Grills, we thought it would only be fair to cook on them (a lot). We decided that today would be a good day to cook some spare ribs low and slow, along with some MOINK balls (bacon-wrapped meatballs). We certainly can't let this food go to waste, so I guess we are just going to have to eat it. Here's my view after the ribs cooked for about 2 hours and the MOINK balls just went on. I hope you enjoy your lunch as much as I'm going to enjoy mine... What's YOUR favorite thing to cook on your grill? Leave your comments below.